The Curious Wavefunction: Book review: Benoit Mandelbrot's "The Fractalist"
"My life", says Benoit Mandelbrot in the introduction to his memoir, "reminds me of that fairy tale in which the hero finds a hitherto unseen thread, and as he unravels the thread it leads him to unimaginable and unknown wonders". Mandelbrot not only found those wonders, but bequeathed to us the thread which will continue to lead us to more wondrous discoveries. Mandelbrot was one of those chosen few scientists in history who are generalists, people whose ideas impact a vast landscape of fields. A maverick in the best sense of the term, he even went one step further and created his own field of fractal geometry. In a nutshell, he developed a "theory of roughness", and the fractals which represent this roughness are now household names, even making it into "Jurassic Park". Today fractals are known to manifest themselves in a staggering range of phenomena; the rhythms of the heart, the distribution of galaxies, market fluctuations, the rise and fall of species populations, the shapes of blood vessels, earthquakes, and the weather. Before Mandelbrot scientists liked to deal with smooth averages and equilibria, assuming that the outliers, the anomalies, the sudden jumps from normalcy were rare and could be ignored. Mandelbrot proved that they can't and found methods to tame them and bring them into the mainstream. His insights into this new view of nature effected minor and major revolutions in fields as diverse as economics, astronomy, physiology and fluid dynamics. More than almost any other thinker he was responsible for teaching natural and social scientists to model the world as it is rather than the abstraction which they want it to be. In this memoir Mandelbrot describes his immensely eventful and somewhat haphazard journey to these revelations. The volume is quirky, charming, wide-ranging, often lingering on self-similar themes, much like his fractals. It is divided into three parts. The first deals with family history and childhood influences. The second deals with a peripatetic, broad scientific education. The third details Mandelbrot's great moments of discovery, the ones he calls "Keplerian moments" in homage to the great astronomer who realized the power of abstract mathematical notions to illuminate reality. Mandelbrot grew up in a Lithuanian family first in Warsaw and then in France. He came from an educated and intellectually alert household. His most formative influences were his garment-maker father and dentist mother and especially his mathematician uncle Szolem. The parents had acquired great reserves of tenacity, having been uprooted from one place to another at least six times because of the depression. Szolem had toured the great centers of European mathematics and knew quite a few famous mathematicians himself. Mandelbrot grew up steeped in the mathematical beauty and folklore which Szolem vividly imparted to him. A dominant theme in the household was self-improvement, constantly challenging oneself to do better. This theme served Benoit well. Mandelbrot's early years were marked by the rise of Nazism. After the fall of France his family fled Paris, taking refuge in the south of France before the country was liberated. There were dangerous moments, like his father narrowly escaping a strafing and Benoit and his cousin being interrogated by the Vichy police. After the war Mandelbrot studied at the prestigious École Polytechnique. At this point his central character started to reveal itself; an intellectual restless that inspired forays into diverse fields, a thirst for knowledge that would take him to many corners of the globe, a tendency to question orthodox wisdom and most importantly, an unwillingness to be a specialist. All these traits would turn out to be paramount in his future discoveries. Throughout his life Mandelbrot was known as a sometimes cantankerous and difficult person, but while there is a trace of these qualities in his memoir, most of the volume is generous in acknowledging the influence of family, friends, colleagues and institutions. His intellectual restlessness led him across the Atlantic to major centers of scientific research including Caltech, MIT and the Institute for Advanced Study in Princeton, where he was the last postdoc of the great mathematician John von Neumann. Part of the joy of the book comes from Mandelbrot's accounts of encounters with a veritable who's who of late twentieth century science including von Neumann, Oppenheimer, Wiener, Feynman, Chomsky and Stephen Jay Gould. A particularly memorable incident has him flabbergasted by a penetrating comment from an audience member and Oppenheimer and von Neumann coming to his defense to explain his ideas even better than he could. At all these institutions Mandelbrot worked on a remarkable variety of problems, from aircraft design to linguistics, and acquired a rare, extremely broad education that would serve him in good stead. As he explains, the trajectory of Mandebrot's life was irrevocably changed when his uncle Szolem introduced him to a law named Zipf's Law that deals with the frequencies of words in various languages. Mandelbrot discovered that Zipf's law led to some counterintuitive and universal results that could only be explained by non-standard distributions; this was when he discovered the high prevalence of what many had previous considered to be "rare" events. His work in this area as well as some preliminary work in economics led him to a highly productive position at IBM. Mandelbrot describes IBM's remarkable scientific culture that allowed scientists like him to pursue unfettered basic scientific research; sadly that culture has now all but vanished in many organizations. During this time he stayed in touch with academia, giving seminars at many leading universities. Ironically, it was Mandelbrot's lack of specialization that made universities reluctant to hire him; implicitly, his experience is also a critique of an academic system that discourages broad thinkers and generalists. The difficulty of pinning down an unconventional thinker like Mandelbrot is reflected in the fact that Chicago found his interests too spread out while Harvard thought them too narrow! But IBM was more than happy to support his multiple intellectual forays and in addition to his own explorations he also has accounts of IBM's pioneering work in software and graphics design. It was while at IBM that Mandelbrot discovered what he is most famous for - fractals. As the book recounts, the work arose partly from analyzing price and market fluctuations. 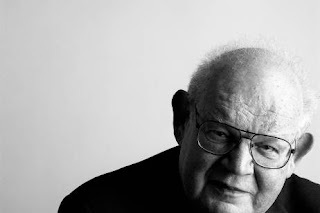 Mandelbrot was struck by the uncanny similarity of disparate price and income curves and realized that the equilibrium model that economists were relying for decades was of little use in analyzing real world jumps which tended to be much more frequent than normal distributions would indicate. In a set of stunning and sweeping intellectual insights engendered by his broad scientific background, Mandelbrot realized that the math underlying an astonishing range of phenomena, from economic fluctuations to geographic coastlines, is the same. His work in this area was seminal by any standard, but it was not adopted by economists partly because they found it difficult to use and partly because the field was entrenched in established ideas from equilibrium models. It was only in the 1980s that his insights became accepted into the mainstream, and the global recession in 2008 and the shocks to the economy have soundly validated his fractal fluctuation models. Outliers are not so rare after all, and as Nassim Taleb has documented, their impact can be tremendous and unpredictable. The parts of the book charting the road leading to fractals are fascinating and clearly detail the advantage of having a broad scientific education. In spite of the lukewarm reception by economists Mandelbrot persevered along his general line of thinking, and in the late 1970s he discovered the iconic Mandelbrot set which made him a household name. Starting from an almost laughably simple formula, one quickly generates what has been called the most complex object in mathematics. The stunning geometry of the set today dots everything from murals to coffee mugs and there are hundreds of websites on which you can generate the set and examine it. Zooming in on the picture reveals a thick and endlessly complex jungle of self-similar geometric shapes and convolutions; one can gaze at this mesmerizing creature for hours. Mandelbrot retired from IBM in the 80s and his career culminated in his appointment as the Sterling professor at Yale University. His eventful journey, from Warsaw to New Haven, holds many key lessons for us. He taught us to celebrate diversity and broad interests in an era of specialization. He shifted the focus of scientists from the idealized experiments of their laboratories to the messy world of reality. And he made it clear that many of the most penetrating insights into nature like fractals emerge from asking simple questions and exploring the obvious; What's the length of Britain's coastline? What's the shape of clouds? How does the heart beat? It is hard to think of a twentieth century thinker whose ideas have influenced so many disciplines, and the fruits of Mandelbrot's labors promise continuing revelations long after his death in 2010. His memoir makes a resounding case for the virtues of indulging in, in Feynman's words, "perfectly reasonable deviations from the beaten track". Thank you for very nice review. Placed that book into to-read list.